You know the ones I mean: They’re fun and funny, warm and supportive, smart without being too intellectual, and you know that when you spend time with them, you’re going to feel good about the world. 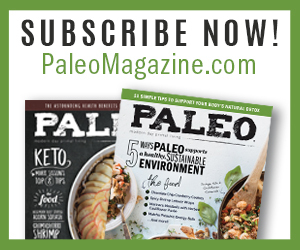 It’s fitting that Charles and Julie Mayfield have made a name for themselves with paleo comfort food, because they definitely fall into the “comfort people” category. They just released their follow-up to Paleo Comfort Foods — which came out in 2011, right around the same time that Well Fed hit the shelves, so I feel like we’ve kind of gone through this whole cookbook thing together. 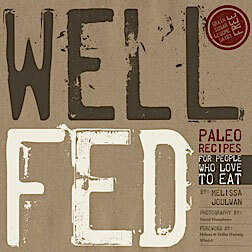 Their new book is called Quick & Easy Paleo Comfort Foods, and it looks like another winner. A real review of a cookbook means testing at least 3-5 recipes from the book; what follows is not a real review of Quick & Easy Paleo Comfort Foods because I am up to my eyeballs in The Artist’s Way, my world history class, trying to keep my commitment to meditate, and, of course, stuffing supplements down my gullet. But I’ve eaten Charles and Julie’s food before — it is damn tasty! — so I feel confident giving their book my stamp of approval. 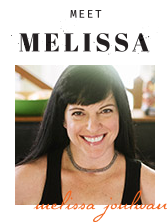 Plus, the natural sweetness of these two people comes through every page of their cookbook. They’ve also posted a few sample recipes on their blog here, here, and here, so you can try them out! This book is packed with simple-to-make dishes that taste like home… if your home is in dream-land and is a combo of a neighborhood bistro mashed up with a kitchen run by a sweet grandmother who knows how to cook all of your favorite foods. From jalapeño poppers to almond-crusted pork tenderloin, paella to molasses ginger cookies, there are recipes for every part of the day and every part of a satisfying meal. 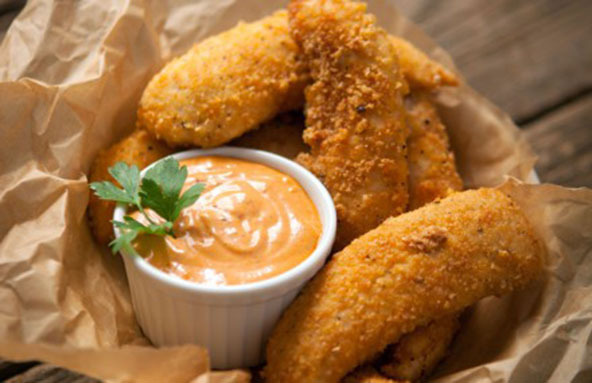 How about some fried chicken tenders? And unlike someone we all know very well, (ahem… me), Charles and Julie aren’t sticks in the mud about treats, so there are a handful of delicious, but not overly indulgent treats, including plantains coated in coconut and Island Balls (balls! ), both of which I’ll be making as soon as I’m finished with my annoying elimination diet. I should mention that the treats included in the book don’t go overboard on sweeteners, so I feel like the mud in which my stick is stuck is less sticky than usual. To Enter: Leave a note in comments on this blog post and tell us what your favorite comfort food is… paleo or non-paleo — we won’t judge! Deadline: Midnight on Monday, September 30. I’ll pick a random winner on Tuesday and announce it here. WOOT! Why wait for fate?! 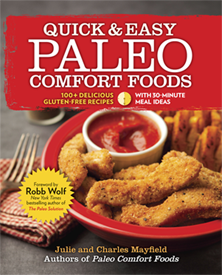 Get your hands on a copy of Quick & Easy Paleo Comfort Foods, like Julie and Charles on Facebook, and follow them on Twitter. NOTE: You should know that I got a complimentary copy of Charles and Julie’s book, but my opinions are honest, and if you use the links above to buy a copy, I get a little kickback from Amazon. My favorite comfort food is a regular Coke. I don’t drink coffee or alcohol so Coke is my go to thing for EVERYTHING. I hope I win – I need to find a new favorite comfort food. I’ve now gone 10 days without a coke!! Hot chocolate. Any, really, but specifically this spicy Mayan cocoa blend I get at a spice shop at ‘home’ in Seattle (made with almond milk and a little coconut sugar). Beef, Beans, tomatoes and peppers frozen from the garden, cumin, (maybe a little melted cheese…) chili takes the cake for me when it comes to the ultimate comfort food!! Comfort food is any food made with my 6 year old, and 9 year old boys. They perch themselves on the counter helping, and singing the wrong words to overly loud music on Pandora. Usually we end in a fit of giggles which always makes the food taste better. Tuna salad sandwich and red kool-aid!! During the summertime, Mom would let us watch cartoons and eat lunch at the same time! What a treat! It’s very hard for me to pick a favorite, as that really depends on my mood. I LOVE Grandy’s Chicken Fried Steak Meal with mashed potatoes and cream gravy with fried okra when I’m feeling nostalgic for my youth. I LOVE pizza of just about any kind, thick crust, thin crust, Chicago style, NY style. I also love homemade Alfredo Sauce with pasta, and homemade spaghetti sauce. Then there’s chili, pot roast, and meat loaf. Do I really have to pick just one?! Chicken Pot Pies…I have been reading paleo & non-paleo recipes to better understand the cooking process. I live near Seattle & need comfort foods 2 make it through the long, drab, winter. True comfort, large extra foamy latte with cookies to dunk. Will help smooth the edges on any hard day. My husband’s chicken and rice. Life is all good after a bowlful. Homemade Masala Chai Tea with real whole milk (NOT almond or coconut milk), fresh ginger root, & honey. That’s an afternoon pick-me-up before I have your own Rogan Josh. Yum! My favorite paleo comfort food is slow cooker chicken and gravy with mashed cauliflower from nom nom paleo. My favorite non paleo comfort food (although the only thing that makes it not paleo is a can of beans, which could totally be left out of the recipe) is an autumn turkey chili that has pumpkin, butternut squash, apples, and turkey in it. Potatoes, be it fried,roasted, boiled, mashed…any shape or form will do. BTW, today is my first day on AIP (never done paleo before). Doing really well so far. My comfort food would probably include something with butternut squash or other winter squashes. Like roasted with browned butter and sage, or smashed with maple syrup, or creamy squash soup. I’m sure it’s changed quite a bit over the years, especially with my food allergies, but that’s been a staple. Thanks! Baked whole chicken with macaroni and cheese! The book looks wonderful! My ultimate comfort food is a steaming mug of very thick, rich hot chocolate! My favorite comfort food is Shepards Pie! I just made it tonight with sweet potatoe top and it was amazing!!!! non paleo jalapeno mac and cheese. i am unsure if paleo mac and cheese will ever beat the real deal but there are some awesome options out there. Hands down….mac and cheese, homemade, the real deal. A bowl full of comfort. Too bad it gives me a food-baby in my gut in 20 minutes flat. Sigh….but those 20 minutes are awesome once or twice a year are worth it! Roasted sweet potatoes or chocolate. My comfort food would be Gumbo! Seafood gumbo especially. Or shrimp and okra 🙂 I live in south Louisiana and I struggle with eating healthy. I am new to Paleo and it is sir hat to give up my rice and gravy!! Haha As a working mom this book would be wonderful to have. Sweet Potatoes, love them baked whole, mashed, baked fries. Yummy flavor, and yet sill good for you! My favorite comfort food is paleo brownies with coconut milk ice cream. My favorite comfort food is the oh-so-not-Paleo mashed potatoes and white gravy! Oatmeal with peanut butter – definitely not paleo, but haven’t found anything paleo that beats it yet! My favourite comfort food is mac n cheese. I had it growing up as a kid and LOVED it. To this day it brings me guilty-comfort when I eat it. Hopefully the cookbook has a paleo version of it. I would love to see it! I don’t really have a favorite comfort food, but my favorite food period is your Best Chicken You Will Ever Eat, Ever!!! I love spaghetti and turkey meatballs with spaghetti squash instead of pasta!! My favorite comfort food is a grilled cheese with bacon! But, I hardly eat it anymore because of the bread…. My favorite comfort food is gumbo – warm, smokey, spicy, thick, silky chicken and sausage gumbo based in a nicely nutty/coffee-ish roux that falls somewhere between peanut butter and chocolate colored. Just enough spice that you can feel it in your sinuses, and it immediately warms you, but doesn’t burn your tongue or set your lips on fire. I haven’t quite mastered the coconut flour roux yet, but it’s definitely doable. Fried cheese, pizza, grilled cheese sandwiches, are we sensing a theme here? I’ve been craving my pre-paleo chicken and broccoli casserole which involved a bag of Pepperidge Farms stuffing. My favorite comfort food USED to be mashed potatoes & gravy. New to this so don’t have a favorite yet. hmmm…i love pork & sauerkraut in the crockpot! my mom made it all the time growing up and i remember coming home to the delicious smells! Citrus Carnitas from your Well Fed cookbook. Made it so often the book falls open at that page. Ratatouille made in my crock pot is my favorite comfort food and it’s totally paleo! Since I was born and raised in the southwest, I would have to say my favorite comfort food woukd be chili. My father would make the greatest pork green chili! Its hearty and definitely hit the spot especially during the winter. Oh, I just love comfort food, both paleo and non-paleo. Mashed potatoes and mac n cheese are two favorites. It used to be macaroni and cheese, but now it’s your eggplant and Italian sausage strata. I could eat the whole pan by myself! I love mac and cheese with a bit of Frank’s Red Hot sauce. Mac and cheese with cheddar panko crust. Yummmm. Now you couldn’t pay me to eat those! I consider just about any kind of casserole to be a comfort food. Lucky for me, there are plenty of paleo casseroles that fit the bill! my favorite comfort food is a baked potato – the regular kind! I usually eat sweet potato and am ok….but when I REALLY need comforting I want the white one!! Pre paleo? Mac and cheese. Post paleo? My version of Snickers bars, with toasted almonds, raw chocolate and raw caramel. Yum. Beef bourguignon is one of my ultimate favorite comfort foods. Hot, delicious, and sticks to your bones in winter. It has Wine and Brandy in it though, harumph. Although I love the cinnamon beef stew in Well Fed, so I use that as an alternative and that suits me just fine! Bread. Non-paleo, yeasty, warm, and slathered with butter. I can’t eat that anymore, so I’m glad there are lots of healthy tasties to take its place! Mac n’ Cheese hands down! Not even close to paleo… oh well! I don’t think I’ll ever stop loving Rice Krispie treats! Ice cream. There I said it. I limit it to once every couple of weeks and try to justify it by saying it will prevent my leptin and insulin levels from downregulating too much because I’m so low carb all the time so it’s sort of a shock to the system, basically the carb backloading theory by Kiefer. Favorite food? I have lots of favorites. 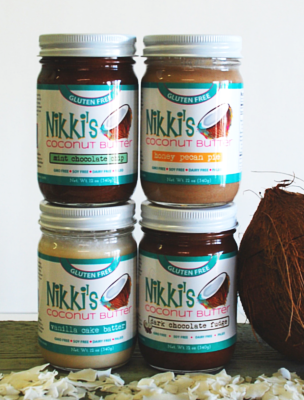 The one I can’t get enough of these days is toasted coconut butter. My favorite comfort food is pulled pork. My fav comfort food is Mac ‘n Cheese for sure…it’s been a long time since I’ve had any though 🙁 These days it’s Jeni’s Salty Caramel ice cream! My favorite comfort food is ice ‘cream’ in any of its forms! Nachos and popcorn! But alas, I think those days are over as I’m pretty sure I have a corn intolerence to go along with my gluten intolerence. 🙁 Those ‘corn babies’ are just no fun! Chicken fried steak with gravy and cheddar biscuits. And I’m not even from the South! I just made the Smothered Pork Chops from Quick & Easy Paleo Comfort Food – my new favorite – delicious! Mac and cheese with organic broccoli and lots of garlic salt and paprika (also organic). My favorite comfort food is italian stuffed pepper…yummy!! Hmmm…I guess my favorite all time comfort food is my husband’s cornbread stuffing that he makes (once a year) on Thanksgiving. It gives me heartburn and since my Whole30 I know it’s terrible for me but dang…it’s really GOOD. Muffins. It doesn’t matter what kind of muffin, I love them all. My favorite comfort food is poutine! It is french fries covered with cheese curds and gravy. Can my comfort food be a drink? I’m totally going with an extra spicy Caesar. Yum, eat-y & drink-y all at once. Well Fed Chocolate Chili! Yummmm. My whole family is CRAZY about that chili! Oh there is nothing like a really good chicken noodle soup. It’s the kind of comfort food you feel good about eating during AND after. Cheesy Mac and Cheese. Lots of cheese!! Chicken and dumplings…it’s my go-to when I’m sick or cold or feeling low or just need a wrap me up in a warm blanket type of meal. I have to go with chips and dip. I’m a lazy girl! Shepherd’s pie! 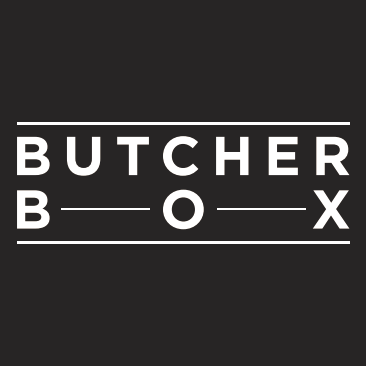 Savory meat and veggies topped with mashed potatoes?! Pure heaven. My favourite comfort food is mac and cheese!! Spaghetti. I’d rather have spaghetti than chocolate. My favorite comfort food is meat loaf! 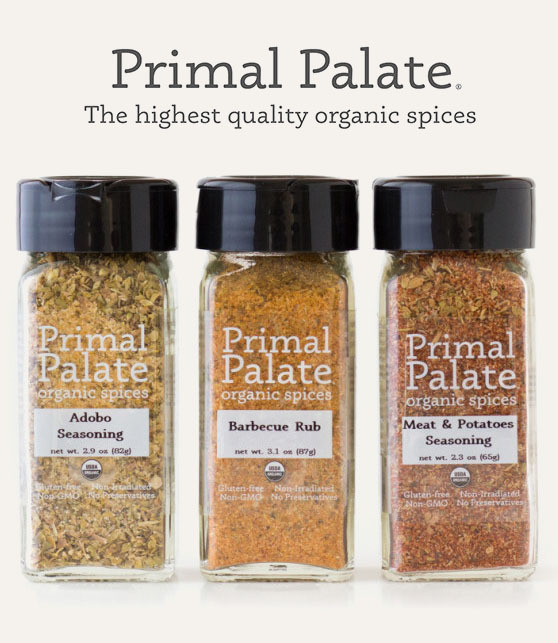 Yum and luckily it is very easily and tasting made Paleo! I even love it cold…for breakfast…don’t judge! My comfort food is Tapioca pudding!!! oh Yum!!!!! And I really want this cookbook! Although I really really want your already preordered #2 cookbook as fast as amazon can get it to me!!! 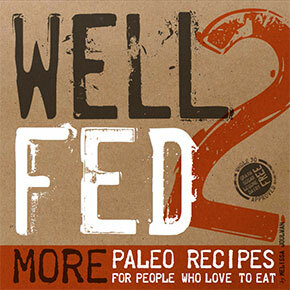 Well Fed #1 was sooo inspirational to me! Changed my life! Phad Thai, fo sure. 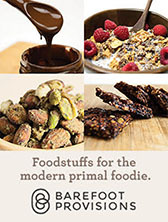 I used to love the real thing but Well Fed’s has a great paleo version. OOEY, GOOEY STEAMING HOT MAC AND CHEESE WITH SOME FRIED OKRA ON THE SIDE. Taco salad with homemade guacamole and spicy green salsa….mmmmmm! Stuffing. Or dressing (I’m from the south!). So NOT Paleo, but I’m being honest. And, just for the record, nothing quite replaces that particular gluten-bomb (no, I am not going to eat it this Thanksgiving – gluten does NOT like me – but, I have fond memories). I know it’s not Paleo, but as a fellow Southerner, I will occasionally indulge in some pure-corn cornbread dressing. (I have Celiac so no wheat flour is allowed, but masa makes it a tad lighter than all cornmeal.) I totally loved that stuff as a kid, & twice a year doesn’t seem too out of line! Ice cream. My tummy both leaps (for joy) and hurts just thinking about it. sweet potato hash with a runny egg on top with sea salt. Best comfort food and quick! My favorite comfort food… mashed potatoes and ribs. mmmmmm…. Scones with rasberry jam and clotted cream! Such a wonderful British tradition (all the best scones are Scottish ;)). Served with a cup of Earl Grey tea and some laughter with friends. If I can’t say all foods, then Brownies with lots of walnuts. unfortunately i really love a big bowl of banana chia oatmeal with nut butter melted on top…haven’t had it in almost 2 years now! Tomato soup and grilled cheese! Growing up in NH this was the best on cold winter days. Now a days it is usually a soup (sweet potato, butternut squash, gazpacho) and chicken sausage. Sweet potato and bacon soup with chorizo. Always tastes reassuring after a long day. Melt some 75% dark chocolate, whisk in two pastured raw egg yolks until completely smooth, add chopped dates, sea salted almonds … eat it! mmmmmm yumm ..
Shepherd’s pie. And yet I haven’t made yours from Well Fed yet! My favorite comfort food is Meatloaf, mashed potatoes and a veggie. Warm, mushy goodness! my fave comfort food is french fries, especially if they are covered in chili and cheese. So far no good Paleo substitute for that…. Tortilla chips and queso. The really gross kind you find in supermarkets. Unfortunately I had to swear off them when I decided to lose weight, and then I had to recommit to giving them up when I went Paleo. Mounds and mounds of fluffy, buttery mashed potatoes. Pre-paleo: mac-n-cheese or buttered rice/noodles…starch. My favorites: pizza and potato chips (preferably the kettle cooked!) followed by a pint of Ben & Jerry’s!! 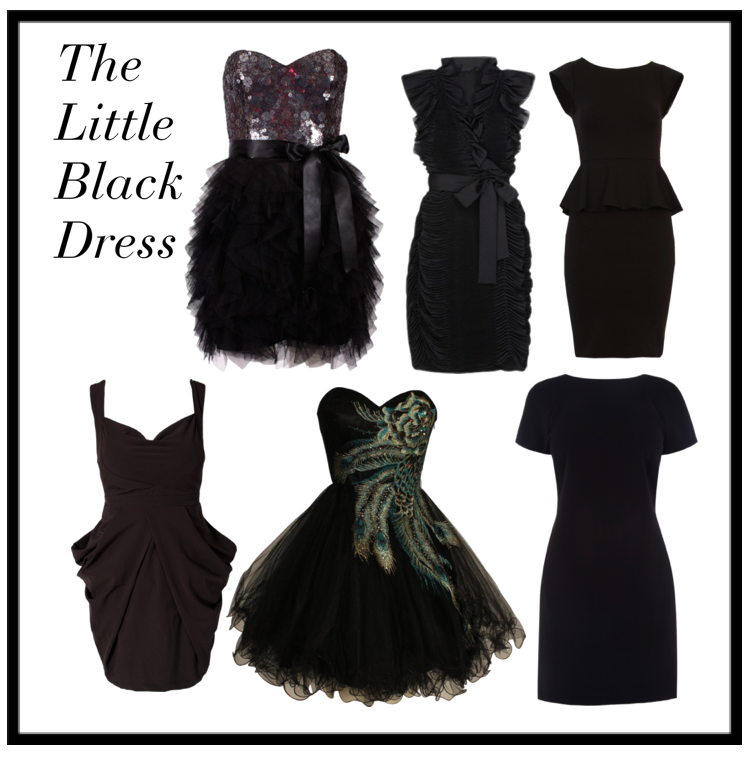 Love the blog with the added sense of charm, whittiness and honesty. My favorite comfort food: Anything dark chocolate. I just put this cookbook on my Christmas wish list, so it would be awesome to get my hands on it early! One thing holding back my family from eating more paleo meals is comfort foods they’ve grown to love. I make a pretty mean meatloaf, and it would be great to find a just as tasty replacement. Personally, I’ve been know to comfort myself with a large bag of peanut M&M’s. My favorite comfort food is chili with a side of cornbread…..the paleo version works for me! caldo verde, a traditional portuguese soup of collard greens, potatoes, and more olive oil than you think is reasonable. YUM. My favorite comfort food lately is oven roasted sweet potato wedges topped with a spoonful of crunchy almond butter. mashed potatoes. any type. cold from KFC are great. gravy and butter are good but even by themselves, mashed potatoes are it. I love my Momma’s lasagna! Hmmm. So many to choose from, but I’m going to go with pizza. Cheesy, gooey, warm and chewy crust. Brownies, macaronic and cheese, and french fries (especially with peanut sauce). I am salivating at the thought. Mac & Cheese and pizza are my favorite comfort foods. Too bad dairy and gluten are not my friends! Homemade tomato soup with a grill cheese sandwich!!! Lasagna, for sure. No meat though. Just loads and loads of cheese. Mmm. Fish tacos, nachos, and pasta made from scratch! My favorite comfort food is creamed spinach. And leftover spaghetti with scrambled eggs, mhmm! Dark chocolate. Coffee. Tea. Nachos from Fox and Hound. New comfort food: Indian cabbage (match made in heaven with your rogan josh). I’m having one of my Autumn comfort faves right now: Sweet Potato, collards, & andouille from the farmer’s market in homemade bone broth. My quick random comfort foods: Fresh steamed green beans or wax beans with melting butter, smooth cheesecake with dark chocolate drizzled, and soft-in-the-center fresh bread dipped in olive oil, garlic, red peppers, and grated parmesan/romano. Fried chicken & mashed potatoes! Chicken Noodle soup because I am trying to get over a cold. A big ole pot of lima beans and dumplings! Definitely pizza and/or mac and cheese. :)I need to discover a Paleo version of mac and cheese now that I’m really craving it with the fall weather. My favorite comfort food is Mac and cheese. In the winter, I’m also a sucker for a grilled cheese sandwich and a bowl of tomato soup! My favorite comfort food is Thai sticky rice with custard. Not exactly Paleo, but already something I only get once in a blue moon, so I haven’t been missing it too badly yet. Since going gluten-free and then Paleo, i miss comfort foods which tend to by carby. I guess the closest thing would be sweet potato or kabocha with almond butter on them. Or perhaps pumpkin almost anything (tho I haven’t made my pumpki pie filling aka no-pie since going paleo, maybe w/coconut milk?) Obviously I’m in need of this cookbook to find new comfort foods! The molasses-ginger cookies sound like they could be very comforting, and a yummy fall treat. My comfort food is really strange to most people but it’s something I grew up eating as a kid….spaghetti with ketchup. Try it, seriously. My favourite comfort food is mac and cheese which includes all the stuff that makes me feel badly afterwards! Can’t stop myself from craving/devouring saltine crackers and peanut butter. Yum! Roasted chicken with gravy and rice – a lot for the meat and gravy, mostly for the crispy skin! My favorite comfort food is definitely mint chocolate chip ice cream! Ben and Jerry’s ICE CREAM!!! These days it’s chocolate or Macintosh apples, but tuna casserole is my favorite of my mom’s classic comfort food. She makes hers with just green beans, noodles, mushroom soup, tuna and no toppings. Now that I’m not eating dairy or gluten, it’s pretty much out for me. Same with her homemade solid whole wheat bread. Crusty bread with any kind of cheese! Mmmm…my man’s tuna melts are my favorite comfort food. Yummmm. Garlic cheese bread with a big ol’ bowl of spaghetti! My comfort food is cannoli. Fave comfort food: homemade mac & cheese, hands down! White Rice with Butter & Soy Sauce. A spoonful of PB & Nutella. Spam Musubi. With a Giant Bowl of White Rice with Butter & Soy Sauce. Yum. Favorite comfort food: pizza – it’s all mental I swear! Grilled Cheese w/ tomato soup! My favorite comfort food is my grandmother’s chicken and dressing. My favs have become Kailua pork (nom nom) and chocolate chile from well fed!!! I really mean it. Had some weather chgs today and am making chocolate chile as we speak! Banana and peanut butter sandwich 🙂 YUM! Hand down my comfort food..CHOCOLATE!! spaghetti carbonara…thank goodness is just as comforting with clean substitutions! My favorite comfort food is my mom’s baked tuna casserole with French’s fried onions on top. She taught me how to make it when I was in the 4th grade. Yummy! A chicken and noodles dish my stepmother taught me how to make! The chicken is cooked in a honey/Heinz 57 mixture, then the noodles are coated with butter, garlic salt, and garlic sauteed mushrooms. Deeeeeelish. But haven’t had in years…. Freshly baked bread with salted butter. non-paleo Gulash(well that is) the Knodel are not! My go-to comfort food has always been pasta, especially pasta dishes with cheese. Definitely not paleo! Since I am Russian, my main comfort food is Pielmeni, which is russian-style tortellini stuffed with meat and boiled. Served smothered with butter and dipped in vinegar, or with sour cream. Chocolate chip cookies hands down! Homemade Mac N Cheese!!! Love this stuff but its a once a year type of food. Favorite food? Where do I even start?! Probably chinese food. I know it’s vague but I think that’s as specific as I can get when it comes to food. Not really food… but little is more comforting than a glass of BIG red wine. In the food dept – braised ribs with mashed garlic parsnips would be way up there. Ooh, picking one is tough! But my top three comfort foods are sweet dumpling or delicata squash with cinnamon and stevia, coconut milk ice cream, and raw chocolate (raw cacao powder, cacao butter, and coconut sugar). Sweet-tooth central! I have a few different foods that are my comfort food. If I had to choose 1 or 2 it would be Ice Cream and Taco Bell. It is hard when I don’t have them around or I can’t get them I have to figure out new ways to help me feel comforted. Ice cream in all possible flavours and shapes. I hate to admit it–when I think of comfort food, I yearn for mac and cheese. Haven’t had it for years (tough to find a paleo substitute.) In the paleo-sphere I gravitate to pork, in any way shape or form. Love my pork! Love me some loaded mash potatoes! Green chile is my hands down favorite comfort food. Homegrown and roasted when I can, or bought from one of the vendors selling in a vacant lot all over Denver. We buy a whole bushel and spend the day peeling the roasted chiles as a family and then make a big simmering pot of pork and onions and garlic and chiles until its done, any extra canned for cold winter days. No matter what I do, its always hella hot, so we’ve dubbed it the Green Monster, or simply nuclear chile. YUM! Ice cream and lots of it…hold the guilt! My favorite non-paleo comfort food is mac and cheese. How can you not love the yummy taste of noodles and creamy goodness. I was having a crappy day yesterday and it took all my will power and strength not to make a large pot and eat it standing over the oven. To me, it is instant comfort and warm in the tummy. Oh mac and cheese, how I miss thee! zucchini noodles and meat sauce! or any form of sweet potatoes/winter squash. A friend of mine recently dropped off Paleo Comfort Foods and I have been IN HEAVEN revisiting some “old faves” after a Whole30. I am really, really excited to hear about their new book and will have to pick up an extra copy for my friend! Lots of awesome in the recipe books happening this year! YAY! Two favorites: cold (straight from the fridge) leftover Kraft mac & cheese with salt and pepper — I know, it is truly disgusting but mentally such a comfort and thick, creamy dark chocolate pudding with whipped cream. My absolute favorite is warm sour dough bread and butter. I can eat the entire loaf in one sitting, though I usually don’t. If I could eat fried chicken and french fries (good ones, not pale flabby ones) without having a coronary every day, I would.